Few people would want the state of Nevada deciding who will inherit their property after death. However, many of those same people do not realize that without estate planning, that is exactly what could happen. Statistics show that more than 50 percent of all of the people who pass away in the United States do not have even a will. A will allows an individual to identify the party or parties they want to receive assets from the estate after death. This could include family, friends and charities or other organizations. If there are minor children involved, a guardian for them can be appointed in the will who will take care of them if the parent dies. 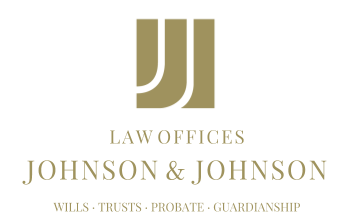 Without a will, assets will be given to family members in a specific order prescribed in Nevada law. This often means that a favorite cousin, niece or nephew will never receive the inheritance that the individual may have wanted them to have. Furthermore, the court will be responsible for determining who will take care of the children if no guardian is appointed. This means that they could end up with someone the decedent never intended. There are a number of reasons why estate planning is important, but protecting and providing for family is often at the top of many people’s lists. Every adult could benefit from at least a will in order to provide even some basic instructions regarding the estate. Depending on a person’s particular needs, other documents might also be needed in order to ensure that his or her wishes are appropriately expressed.